Highlands NC is home to a “Best” hotel. The Old Edwards Inn and Spa receives accolades all the time, and if you have been there you understand why. The hotel is a special place and a cornerstone of the Highlands community. 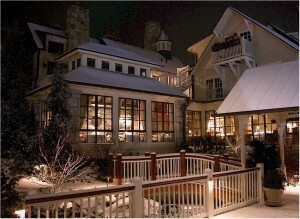 Recently the Old Edwards Inn and Spa was named the fifth best hotel in the United States. It is hard enough to be ranked as one of the best hotels in a state, never-mind an entire country. TripAdvisor.com recently released its Travelers’ Choice Awards and the Old Edwards Inn and Spa was ranked number five, noted for being “simply spectacular”. Of course those of us living here in the Highlands area get to appreciate many of the offering of this long rooted establishment. There are even homes in Highlands NC that come with access to the hotel’s amenities. Contact me, Lynn Kimball, today to learn more about living in Highlands NC and all that our area has to offer. I welcome the opportunity to update you on current market conditions while providing you access to today’s listings. Let my knowledge and experience serve as your guide to real estate in Highlands NC. I would like to receive more information regarding available lodges for sale in the Highlands ranging between $4.5-5mil.